The thought of spending 10 euros for an entire day in Paris may strike you as a daunting task, but arm yourself with a map and a good pair of walking shoes, leave the guidebook at home, and set out for a day of wandering. Start your day at the Tuileries, the one place in Paris that bathes in sunlight no matter the time of year, and walk along the wide, tree-lined paths while the top of the Eiffel Tower peeps out at you between the tree branches. Unless it’s the first Sunday of the month or if you happen to be an E.U. resident (in which case, entry is free), make a mental note to return to the Louvre museum on another day and walk for now past the gilded pyramid, continuing to the shaded streets along the right bank of the Seine. Yield to the smell of baking bread wafting your way and enter any one of the numerous boulangeries, where a freshly baked croissant will set you back about €1. Munching happily on your croissant, continue along the Seine and take the time to peruse through the old posters and books proffered by the aged owners of the bouquinistes, the green boxes dotting the bank that open up into second-hand, antiquarian shops. A poster of the iconic chat noir costs about €3, and can add a splash of animated color to your walls. By now, your tiring feet may be calling for a pause, so take a break and spend about €2 on an espresso at any café of your choosing, and make sure to ask for a seat on the patio. You can stay and wind down for as long as you like, so lose track of time by people-watching or by filling in your travel journal. Entrance to the nearby Notre Dame Cathedral is free, and if you’re lucky you might catch one of the mesmerizing afternoon sermons. If the long line and large crowds dissuade you, however, just a stone’s throw away from the cathedral is the fabled Shakespeare & Company bookstore, a delightful place to while away a lazy afternoon. Paris by night is in an entirely different realm from Paris by day, so allow yourself to be distracted by little side-streets, large squares and other diversions as you, eventually, meander your way to a jazz club: several places, such as the Caveau des Oubliettes often have free concerts. Congratulate yourself as you realize, while rummaging through the coins in your pocket, that you have enough money left for a crèpe or a drink, and let the music wash over your ears as you relax. 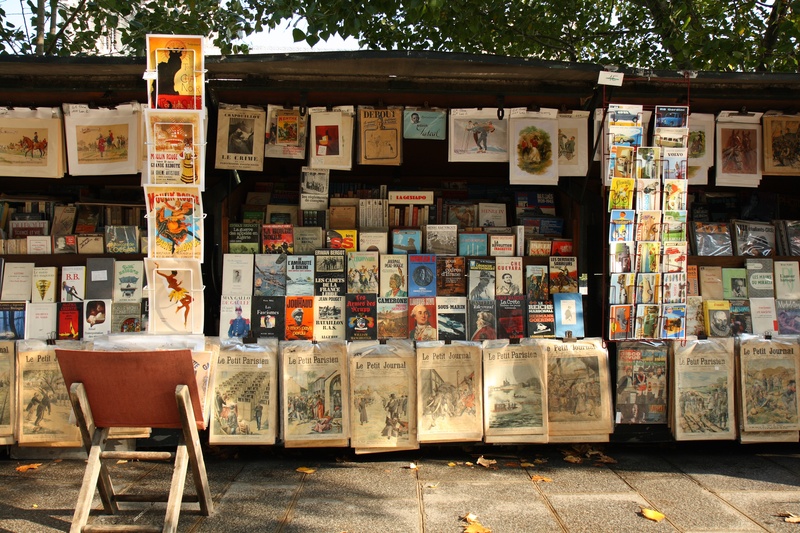 As your day in Paris comes to a close, you may not have gotten your picture in front of the Mona Lisa, but between the numerous monuments and museums dispersed around Paris are the small pockets where, it seems, time moves slower and the moment becomes more real: cafés, bookstores, gardens. Maybe tomorrow, when you have a camera in your hand and more than 50 dirhams in your pocket, you might visit the Louvre or you might climb the Eiffel Tower, but make sure not to walk too quickly.